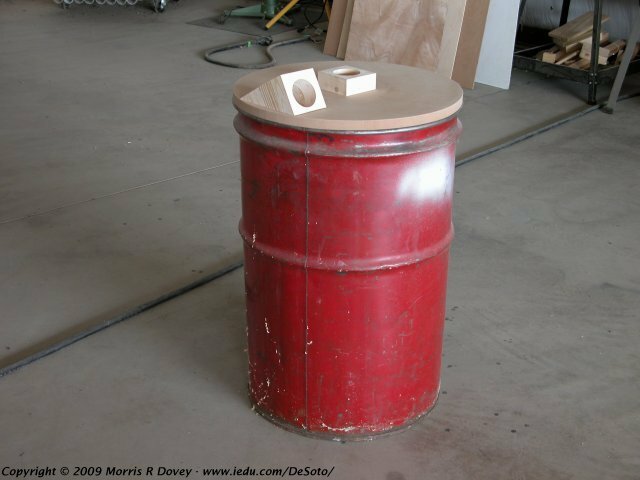 This mini cyclone separator was built entirely of 2"x4" cut-offs, a piece of scrap MDF, an old Shop-Vac hose, and a small steel drum. 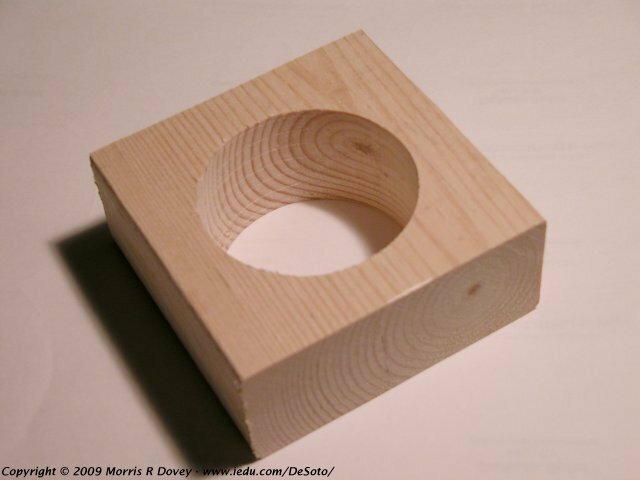 Four of the blocks are glued together to make a square "pipe". When the glue has dried, cut the pipe in half on a long diagonal. I used a bandsaw to make the cut. The photo above shows how the blocks are positioned on the lid. The angled intake block is positioned with the outer corners at the edge of the lid, and the vertical Shop-Vac connector block is positioned at the center of the lid. 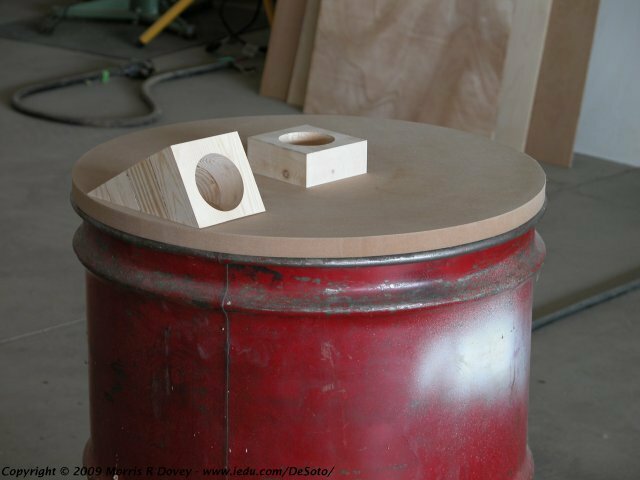 Trace the openings on the lid and drill 2-1/4" through holes centered on the trace markings. Glue the blocks onto the lid in the traced positions. 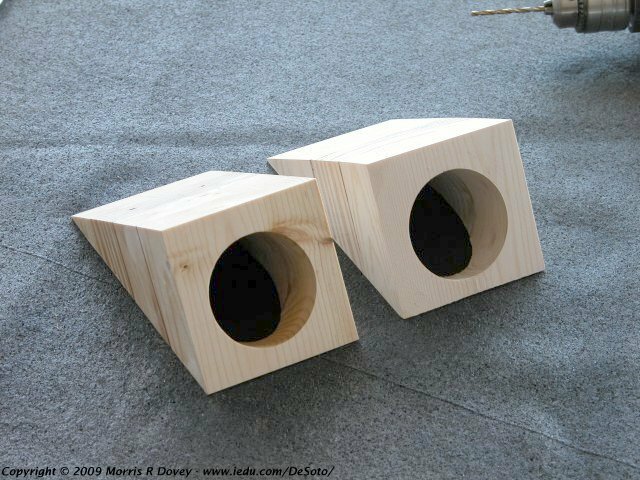 When the glue has dried, use a chisel and/or rasp to complete the angled intake hole through the lid. As you do this, take care not to enlarge the hole in the intake block. 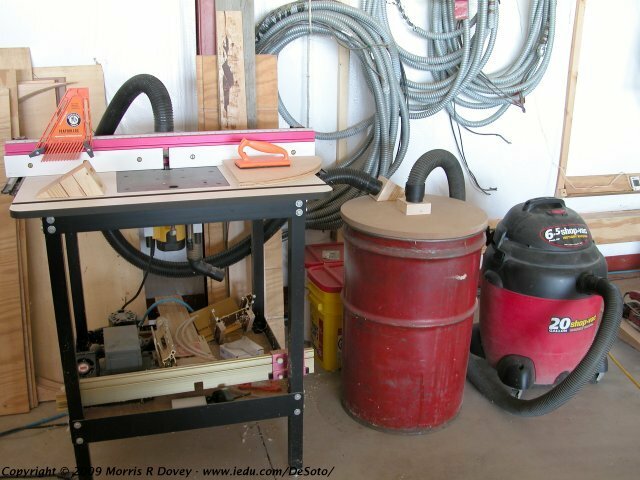 The photo above shows how to connect the Shop-Vac to the center suction block and the dust collection hose to the intake hose block. Finally, here's a photo of my new router dust collection set-up. 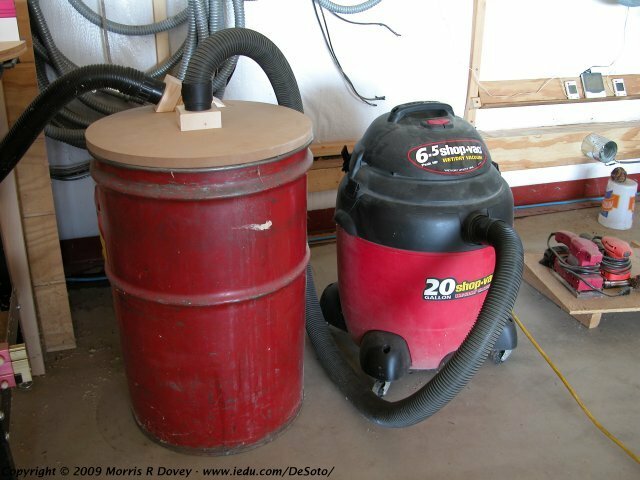 It works well and prevents the Shop-Vac from filling up as quickly as it did without the separator.